In a previous article, we discussed the biggest misconceptions that plague modular homes. Chief among these misconceptions involves the notion that modular homes lose value over time. As we discussed in “Misconceptions About Modular Homes,” this couldn’t be further from the truth. If anything, modular homes have more of an opportunity to appreciate than traditional, stick-built homes. We wanted to delve further into this topic as part of our “Benefits of Modular Homes” series. If you’re looking for a modular home in Marion, call us today at Cannon Homes Inc.! To understand why modular homes don’t lose value, it’s important to make the distinction between modular homes and manufactured homes. Modular homes are constructed in a factory, but they’re assembled in a plot of land just like a stick-built home. The only difference is that components of the home are pre-fabricated rather than assembled complete on site. Manufactured homes — also known as mobile homes, trailers, or RVs — are very different. They are built to be mobile, unlike modular and stick-built homes. As a result, they depreciate over time and generally don’t have a valuable resale price. Modular homes, on the other hand, have the same potential to appreciate a traditional homes do — if not more. One of the reasons modular homes appreciate so much is because they cost less money upfront. Indeed, modular homes cost between 10 and 20 percent less than traditional homes. When you buy a more affordable home upfront, you can put more money into it down the road. You can add custom granite countertops, sparkling new appliances, and beautiful hardwood flooring. Because you own the plot of land on which your modular home sits, you can also invest in landscaping. In this sense, it absolutely makes sense to invest in a more affordable home from the get-go. Not only do modular homes have the capacity to appreciate at a higher rate than traditional homes, but they also are subject to the same factors as stick-built homes. Zoning and Location — what are the building codes for your modular home? Is it in a quiet, residential zone, or is it near a bustling road? Are the school districts in your neighborhood desirable? Appearance — is your home a balance of personal taste and convention, or is it a bit too quirky? Make sure your home isn’t so idiosyncratic that it turns off potential home buyers. Home Features — does your home have a finished basement? Do you have guest bathrooms, a master bedroom, and walk-in closets? 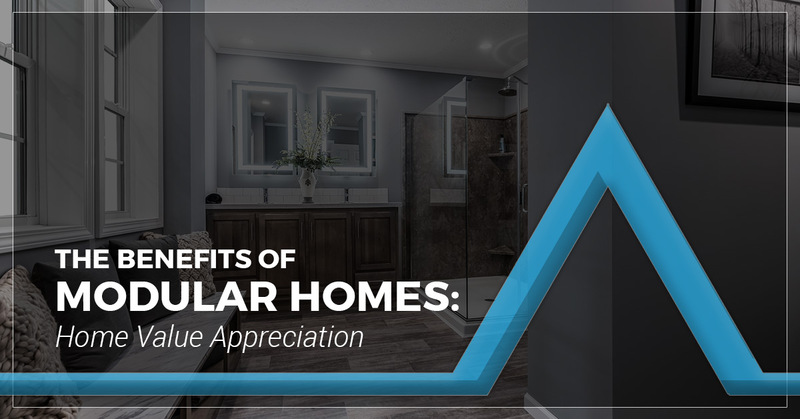 These same features that sell traditional homes can will raise the value of your modular one. Lot size — how is the yard? Do you have a nicely kempt lawn? Does your house sit on a nice area of the property? If you’re interested in building a modular home in Marion, Cannon Homes Inc. is a leading modular home builder in the area. We service Marion, Salem, Mount Vernon, and the rest of Southern Illinois. Browse our floor plan options and homes on display to see the possibilities you have for a modular home. Be sure to contact us with any questions you might have — the first step to buying a dream modular home is understanding how great they are in the first place.